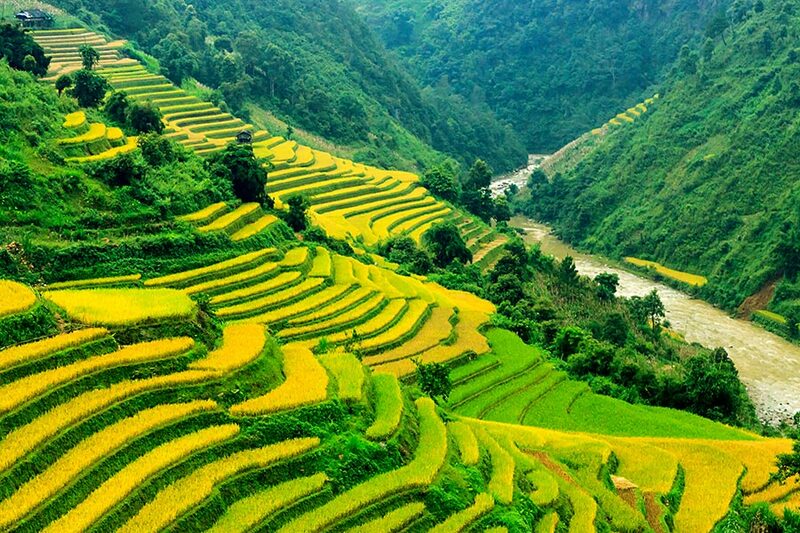 At first glance, you may not have even known the first image was rice. Yet, when combined with the second image, your appreciation for the first changes. It grows and expands. The “depth” of each is supported by the other. Both images offer a distinct point of view… and while you may prefer one over the other, viewing both images together provides a more elaborate story than either one taken alone. So it is with understanding both Eastern and Western perspectives to health and healing. Both perspectives, when taken alone, offer effective health solutions. When Eastern and Western perspectives are combined, compared, and contrasted… your understanding of health and healing becomes more clear and powerful. As a results: Your healthcare choices dramatically increase for you and your family. Western medicine offers many cutting-edge, life-saving treatment options. The West uses a zoom-lens (similar to the lens used in Photo 1 above) and focuses on symptoms, on finding the physical and often, cellular, cause of an illness. Eastern medicine offers a holistic approach…akin to the wide angle lens. 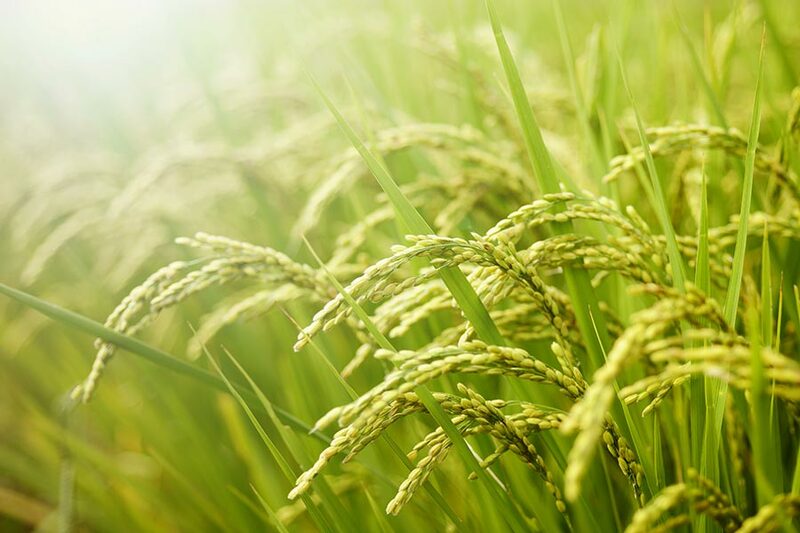 The traditional medicine of the East focuses on a whole-person approach to wellness, on integrating the body, mind, and energy to support the natural healing power of the body. When used individually, both perspectives have their merits. When Eastern and Western medical practices are understood and used together, your healthcare choices become infinitely expanded… so you’re never left feeling trapped into a single course of treatment. This is why I created our Signature Courses. To empower you to take charge of your health with a solid understanding of both Eastern and Western perspectives and what they offer you. 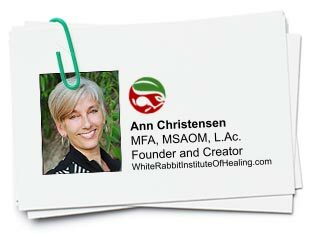 My name is Ann Christensen, the founder of White Rabbit Institute of Healing. When I was a professor at Bastyr University, a pioneer in science-based natural medicine, courses were offered side-by-side for Eastern Medical practices as well as the Western. These course offerings provided my students access to deep knowledge and experience with both healing methods. However, as I surveyed the landscape of healthcare knowledge outside of my university bubble I noticed something strange. There was nobody else teaching both Eastern and Western medicine to people who simply wanted to understand both perspectives… but did not want to attend a four year institution to do so. In that moment an idea was born. I decided I wanted to bridge the gap between East and West and eventually I founded White Rabbit Institute of Healing. I created two foundational courses — “The Energy & Science of the Mind, Body, and Spirit” and “Unlocking the Secrets of the Body” — to provide a detailed multi-lens perspective on your health and your body. Because when you feel you have to choose between healing philosophies, throwing out one for the sake of the other, you limit your options for wellness and longevity. Knowledge of cutting-edge diagnostic and treatment processes fueled by western science, combined with holistic, full spectrum traditions of the East, allows you to expand your treatment options and your preventative self-care. It is entirely unnecessary to choose one method over the other. You do not need to fear or abhor Western Medicine simply because you prefer holistic, natural approaches to health. Nor do you need to write-off traditional medicine as “woo woo” or “hocus pocus” because fewer scientific studies exist proving its efficacy. Both traditions offer incredibly insightful and valid treatment options. I invite you to open your mind and discover the confidence just a little foundational knowledge can bring to your health. Each of our introductory courses offer detailed insights and understanding of the perspectives of Traditional Chinese Medicine compared with the views from the West. Our introductory course is the first step to discovering the health-supporting tenets of Eastern Medicine…and a foundational understanding for future learning based on your distinct interests and healthcare needs. 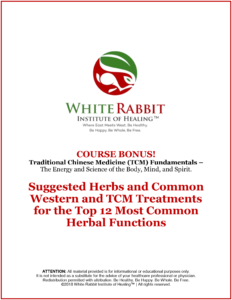 Create a foundational understanding of the major tenets of Oriental Medicine and TCM. Engage your passion for learning by identifying the facets of Oriental Medicine and TCM most interesting to you…so you can dive deeper. Receive greater insight into herbal treatments and Oriental Medicine and TCM diagnosis by determining the differences between Eastern and Western definitions of blood, vessels and the channels used to transport core substances. Our second course builds upon the foundation of the first. You dive deep into your body’s major life-generating and supporting “equipment”…your organs and energetic systems. Like the major parts of a car’s engine, your organs keep you alive, clean, and running smoothly. Understanding Eastern and Western medical perspectives for each bodily system, and how it operates, will expand your — and your family’s — health care options for your body’s most life-essential systems. Taken alone, each of these courses offers deep insight into your long-term health and wellbeing. However, when taken together, they will expand your view of health and wellness. Why am I so passionate about empowering you with fundamental healthcare knowledge? According to the Blue Cross, if you or a loved one has to visit the Emergency Room, the average visit will cost you $580-$700. This means, without additional care, an emergency room visit will cost you, at minimum, $580. Not to mention the stress, time, lost sleep, and potential for getting pumped with poisonous drugs… no fun. It is my belief that with just a little “foundational” knowledge, you can completely avoid and prevent emergency room visits unless completely, absolutely necessary. Register for “The Energy & Science of the Mind, Body, and Spirit” and “Unlocking the Secrets of the Body” and SAVE! Very low when you consider how empowering it is to understand both Eastern and Western approaches to healthcare… so you can nearly guarantee you never get forced into taking toxic pharmaceuticals. I want to make it easy for you to make the best healthcare choices for you and your family, so when you register for one course at $297 you can get the second for only $97! This means, when you invest in both “The Energy & Science of the Mind, Body, and Spirit” and “Unlocking the Secrets of the Body” courses, you save nearly $200. Gain a foundational understanding of the major tenets of Oriental Medicine and TCM. Engage your passion for learning by identifying the facets of Oriental Medicine most interesting to you… so you can dive deeper. Signature Courses 1 & 2. Limited Time Introductory Offer! Course 1: The Energy & Science of the Mind, Body, and Spirit – Core Principles of Oriental Medicine and Traditional Chinese Medicine (TCM) AND… Course 2: Unlocking The Secrets of the Body – A Deep Dive Into Organ Health. Deepen your knowledge of the “big picture” theories of Oriental Medicine, Traditional Chinese Medicine, and Western Medical Science… specifically as the theories relate to organ function, balance, and health. An herbal “function” describes what an herb does for you, your body, and your health. 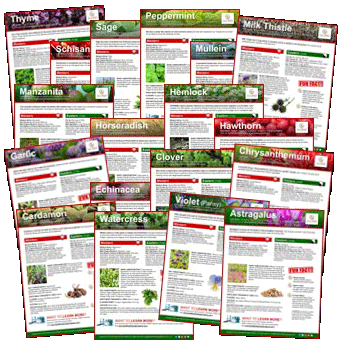 When you register for both “The Energy & Science of the Mind, Body, and Spirit” and “Unlocking the Secrets of the Body” you will receive my 38 page eBooklet containing a list of the top 12 herbal functions…a reference guide you can use to support and protect your health naturally. Each function contains a list of herbs and foods to use in self-treatment, a list of suggested Oriental Medicine treatments, why they are recommended, as well as suggested Western treatments for each “function”. Anti-inflammatory – The root cause of every unwanted health condition from cancer, fibromyalgia, digestive disorders, to weakened immunity, to Alzheimer’s… discover 9 herbs and foods to reduce inflammation. Antibacterial – Bacterial infections are the source of colds, flus, and other internal and external infections… use this list of 6 herbs and foods to avoid pharmaceuticals unless absolutely necessary. Antiviral – Infectious agents replicating themselves inside your living cells, these 7 herbs and 8 Oriental Medicine treatments naturally fight viruses. Antifungal – Ringworm, athlete’s foot, candida (thrush), and even more serious systemic infections such as cryptococcal meningitis… this list of 7 herbs and foods help keep you fungi-free. Digestive – Discover 7 herbs and foods to naturally promote the elimination of toxins, prevent stomach aches, diarrhea, bloating, constipation, and protect your beneficial bacteria. Analgesic – Herbs that treat pain and reduce inflammation (HINT: you’ve heard about one of these six A LOT in the news recently). Febrifuge – Ever wonder what kind of tea to make when you or a loved one has a fever? Use the 6 herbs on this list to fight chills and help reduce fevers. Antidepressant – Feeling disinterested in life? Lethargic? Experiencing wild swings in emotion? An inability to sleep? These 5 herbs are known to calm anxiety, soothe the emotions and help a person relax — one is completely unexpected… and you can use it in your everyday cooking! Diuretic – Used to lose water weight, reduce edemas, treat osteoporosis, clear heat and toxins from the body, and lower high blood pressure… these four herbs — individually and combined — are powerful diuretics. Laxative – Constipation can be… well… uncomfortable at best. Use these 6 herbs and 8 recommended TCM treatments to feel better and get things moving naturally. Expectorant – Breathe easier and reduce coughing by taking one or more of these 5 herbs to release mucus and phlegm buildup. Tonic – There is a legend about one of these 8 tonics (AKA adaptogens) that claims Taoist monks lived to be 250 years old by including it in their daily tonics and teas. Use these remedies to support your natural health and healing process, but not in replacement of full treatment. If, after 30 days of purchasing and completing the course(s), you do not feel 100% empowered to make well-informed healthcare decisions for yourself and your family based on TCM principles, I will refund your entire purchase and let you keep the course(s) and the bonuses. So go ahead and buy the courses, and if they aren’t what you’re looking for, just let me know at any time and I’ll get you your money back. No hassle. To purchase either course and receive immediate access, click the button below, complete the secure order form on the next page, and look for my email with instructions on how to access your courses. She walks into my office. The perfect picture of a ballerina. Slender, poised, looking as if she would fly away at any moment. Six weeks later, she was walking. Eight weeks later, she was back on the dance floor. But I’ve also learned: extraordinary healing like my ballerina does not come from me… that’s Qi (energy). I want you to be as informed as possible so you are NEVER trapped into choosing toxic chemicals and big pharma unless it’s your last resort. So join me, click the button below, fill out the secure order form on the next page, and I’ll see you on the first LIVE call. Be Happy. Be Healthy. Be Whole. Be Free. Copyright © 2018 White Rabbit Institute of Healing™ | All rights reserved.